The annually organised Mobile World Congress in Barcelona is the most important event for the branch. Two thousand three hundred exhibitors presented themselves at the trade fair this year for the audience of more than 108,000 visitors. The network has been getting more attention in the past years at the fair, and this year the central topic was the mobile network technology of the future, 5G. “5G is going to change the digital eco-system more compared to every former technology,” said Srini Gopalan, European president of Deutsche Telekom AG. “With time, 5G is going to increase the global GDP up to USD 3 trillion between 2020 and 2035. 5G is a big chance for Europe to catch up to the USA and Asia, which needs to be used. “In order that the 5G may be launched with success the impacted providers, industries and administrative authorities need to co-operate closely,” Gopalan stressed. The communication method of the next generation played an important role at the stand of the Deutsche Telekom Group too. 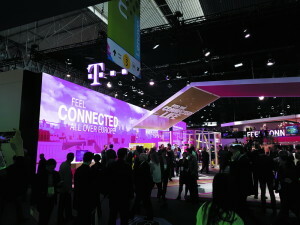 Under the motto “5G FOR GOOD” Telekom presented to the visitors how the new technology gets from the laboratories to the users: “5G raises connectivity to a next level,” Tim Höttges, chairman of the board at Deutsche Telekom said. “Besides billions of people at least 50 billion things will need network connection in the future. “Many areas of daily life will need their tailored networks: enormous bandwidth will be eaten up by entertainment, by the super-fast reaction time of cars (connected cars) or robots and the long-lasting narrow band connection for the parking sensors and the street lights,” he added. 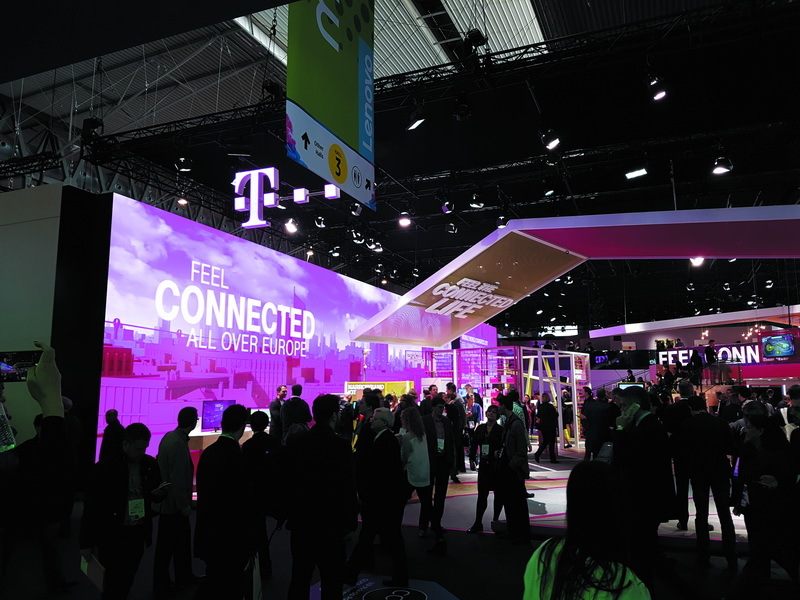 Users will already be able to gain experience with the networks developed for sensors, since the Telekom Group is launching the narrowband network in eight countries (besides Germany also in Hungary, the Netherlands, Greece, Poland, Austria, Slovakia and Croatia) this year. The so-called NarrowBand-IoT is the first step towards 5G technology, which enables the connected sensors to exchange data with each other over the narrowband connection. In Budapest Magyar Telekom has already tested their technology developed for public parking spaces with the help of NarrowBand-IoT (NB-IoT). The company also launched the network development program NB-IoT. For establishing the smart parking places the concrete sensors have to be built close to the electric supply. They contain a module, which is based on the mobile technology NarrowBand IoT. The sensor is inactive, and only sends a signal once a car is standing on top of it. This will enable the clients to navigate to a free place with the help of a mobile application.